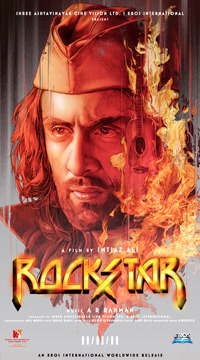 A new upcoming movie of Ranbir Kapoor is Rockstar where he has acted as the lead actor with Nargis Fakhri. This movie depicts the life of Rockstar and trouble faced by him. Movie involves drama, love, romance and good songs. This movie is going to release on November 11, 2011 which means it is just 20 days away. Heavy promotions of this movie is going on and one can listen almost all songs over the internet or on Television. Famous songs of this movie are jo bhi main kehna chahoon, Katiya Karoon, Phir se Udchala, Kun Faya Kun and many more, since its song based movie only.